For the equivalent Mahayana term, see prasrabhi. Passaddhi is a Pali noun (Sankrit: prasrabhi, Tibetan: ཤིན་ཏུ་སྦྱང་བ་,Tibetan Wylie: shin tu sbyang ba) that has been translated as "calmness," "tranquillity," "repose" and "serenity." The associated verb is passambhati (to calm down, to be quiet). In Buddhism, passaddhi refers to tranquillity of the body, speech, thoughts and consciousness on the path to enlightenment. As part of cultivated mental factors, passaddhi is preceded by rapture (pīti) and precedes concentration (samādhi). In various Buddhist canonical schema, the calming of the body, speech and various mental factors is associated with gladness (pāmojja, pāmujja), rapture (pīti), and pleasure (sukhaṃ) and leads to the concentration needed for release from suffering. within him, he becomes glad. Enraptured, his body grows tranquil. His body tranquil, he is sensitive to pleasure. When defiling mental qualities are abandoned and bright mental qualities have grown, and one enters & remains in the culmination & abundance of discernment, having known & realized it for oneself in the here & now, there is joy, rapture, serenity, mindfulness, alertness, and a pleasant/happy abiding. Saṅkilesikā ceva dhammā pahīyissanti. Vodāniyā dhammā abhivaḍḍhissanti. Paññāpāripūriṃ vepullattañca diṭṭheva dhamme sayaṃ abhiññā sacchikatvā upasampajja viharissanti. Pāmujjañceva bhavissati pīti ca passaddhi ca sati ca sampajaññañca sukho ca vihāro. "For one enraptured at heart, the body grows calm and the mind grows calm. When the body & mind of a monk enraptured at heart grow calm, then serenity as a factor for awakening becomes aroused. He develops it, and for him it goes to the culmination of its development. "For one who is at ease — his body calmed — the mind becomes concentrated. When the mind of one who is at ease — his body calmed — becomes concentrated, then concentration as a factor for awakening becomes aroused. He develops it, and for him it goes to the culmination of its development." With the first jhana, speech (vācā) is calmed. With the second jhana, applied and sustained thought (vitakka-vicārā) is calmed. With the third jhana, rapture (pīti) is calmed. With the fourth jhana, in-and-out breathing (assāsa-passāsā) is calmed. With the cessation of perception and feeling, perception and feeling (saññā-vedanā) are calmed. With the ending of mental fermentations (āsava), lust, hatred and delusion (rāga-dosa-moha) are calmed. In the Pali literature, this sequence that enables one to transcend worldly suffering is referred to as the "transcendental dependent arising" (lokuttara-paticcasamuppada). What on that occasion is repose of sense (kayāpassaddhi)? The serenity, the composure which there is on that occasion, the calming, the tranquillizing, the tranquillity of the skandhas of feeling, perception and syntheses — this is the serenity of sense that there then is. What on that occasion is serenity of thought (cittapassaddhi)? The serenity, the composure which there is on that occasion, the calming, the tranquillizing, the tranquillity of the skandha of intellect — this is the serenity of thought that there then is. Passaddhi is referenced in the Visuddhimagga and other Pali commentarial (atthakatha) texts. "living in a good climate"
"cultivation of persons tranquil in body"
↑ Rhys Davids & Stede (1921-25), p. 447, entry for "Passaddhi" (retrieved 9 Jul 2007). ↑ For instance, Rhys Davids & Stede (1921-25), p. 447, entries for "Passaddhi" (retrieved 9 Jul 2007) and "Passambhati" (retrieved 14 Jul 2007) etymologically derive both words from "pa+śrambh." The past participle of passambhati is passaddha and the present participle is passambhayaṃ. ↑ The Anapanasati Sutta (MN 118) in English (Thanissaro, 2006). ↑ The Anapanasati Sutta (MN 118) in Pali (SLTP, n.d.-a). ↑ The Samaññaphala Sutta (DN 2) in English (Thanissaro, 1997). The same verse is in the Potthapada Sutta (DN 9) (Thanissaro, 2003). ↑ Sāmaññaphalasuttaṃ (DN 2) in Pali (SLTP, n.d.-c), para. 61; and, Poṭṭhapādasuttaṃ (DN 9) in Pali (SLTP, n.d.-b), para. 33. ↑ The Potthapada Sutta (DN 9) (Thanissaro, 2003). ↑ Poṭṭhapādasuttaṃ (DN 9) in Pali (SLTP, n.d.-b), para. 33. ↑ MN 118 (Thanissaro, 2006). "In the section on 'being quietened' (patipassaddha), the four immaterial absorptions (arupajjhana) are not mentioned. According to [Commentary] they are implied in the 'cessation of perception and feelings' (for the attainment of which they are a condition)." ↑ SN 12.23 (Bodhi, 1980, 1995). ↑ Bodhi (1980, 1995) states that the paracanonical Nettipakarana provides this label for SN 12.23's secondary sequence. ↑ Rhys Davids (1900), pp. 1-4 (consciousness states xxxix and xl), 23, verses 40 and 41. Based on the second paragraph of this excerpt and the third excerpted paragraph's use of the word citta, it is evident that Rhys Davids uses the word "intellect" here for what is traditionally referred to in the khandha model as viññana. ↑ Buddhaghosa & Ñāṇamoli (1999), IV:42-66, pp. 127-134. ↑ Buddhaghosa & Ñāṇamoli (1999), p. 131. ↑ Buddhaghosa & Ñāṇamoli (1999), p. 132 (square brackets included in original text). According to Rhys Davids & Stede (1921-25), op. cit., similar information is found in the Vibhanga-Atthakatha 282. Bodhi, Bhikkhu (trans., ed.) (1980). Transcendental Dependent Arising: A Translation and Exposition of the Upanisa Sutta (The Wheel No. 277/278) (SN 12.23) Kandy: Buddhist Publication Society. Retrieved 11 Jul 2007 from "Access to Insight" (1995) at http://www.accesstoinsight.org/lib/authors/bodhi/wheel277.html. Nyanaponika Thera (trans.) (1983, 1998). Rahogata Sutta: Secluded (SN 36.11). Retrieved 09 Jul 2007 from "Access to Insight" at http://www.accesstoinsight.org/tipitaka/sn/sn36/sn36.011.nypo.html. Rhys Davids, C.A.F. (trans.) (1900). A Buddhist manual of psychological ethics or Buddhist Psychology, of the Fourth Century B.C., being a translation, now made for the first time, from the Original Pāli of the First Book in the Abhidhamma-Piţaka, entitled Dhamma-Sangaṇi (Compendium of States or Phenomena). Lancaster: Pali Text Society. Reprint currently available from Kessinger Publishing. ISBN 0-7661-4702-9. Rhys Davids, T.W. & William Stede (eds.) (1921-5). The Pali Text Society’s Pali–English Dictionary. Chipstead: Pali Text Society. A general on-line search engine for this dictionary is available at http://dsal.uchicago.edu/dictionaries/pali/. Sri Lanka Buddha Jayanti Tipitaka Series (SLTP) (n.d.-a). Ānāpānasatisuttaṃ (in Pali) (MN 118). Retrieved 13 Jul 2007 from "Mettanet - Lanka" at http://www.metta.lk/tipitaka/2Sutta-Pitaka/2Majjhima-Nikaya/Majjhima3/118-anappanasati-p.html. Sri Lanka Buddha Jayanti Tipitaka Series (SLTP) (n.d.-b). Sāmaññaphalasuttaṃ (in Pali) (DN 9). Retrieved 14 Jul 2007 from "Mettanet - Lanka" at http://www.metta.lk/tipitaka/2Sutta-Pitaka/1Digha-Nikaya/Digha1/09-potthapada-p.html. Sri Lanka Buddha Jayanti Tipitaka Series (SLTP) (n.d.-c). Sāmaññaphalasuttaṃ (in Pali) (DN 2). Retrieved 14 Jul 2007 from "Mettanet - Lanka" at http://www.metta.lk/tipitaka/2Sutta-Pitaka/1Digha-Nikaya/Digha1/02samannaphala-p.html. Thanissaro Bhikkhu (trans.) (1997). Samaññaphala Sutta: The Fruits of the Contemplative Life (DN 2). Retrieved 14 Jul 2007 from "Access to Insight" at http://www.accesstoinsight.org/tipitaka/dn/dn.02.0.than.html. Thanissaro Bhikkhu (trans.) (1998). Rahogata Sutta: Alone (SN 36.11). Retrieved 09 Jul 2007 from "Access to Insight" at http://www.accesstoinsight.org/tipitaka/sn/sn36/sn36.011.than.html. Thanissaro Bhikkhu (trans.) (2003). 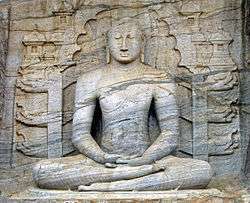 Potthapada Sutta: About Potthapada (DN 9). Retrieved 14 Jul 2007 from "Access to Insight" at http://www.accesstoinsight.org/tipitaka/dn/dn.09.0.than.html. Thanissaro Bhikkhu (trans.) (2006). Anapanasati Sutta: Mindfulness of Breathing (MN 118). Retrieved 09 Jul 2007 from "Access to Insight" at http://www.accesstoinsight.org/tipitaka/mn/mn.118.than.html. Upalavanna, Sister (n.d.). Aṅguttara Nikāya, [Navakanipāta], 006. Khemavaggo – Section on Appeasement (AN 9.6). Retrieved 10 Jul 2007 from "Mettanet - Lanka" at http://www.metta.lk/tipitaka/2Sutta-Pitaka/4Anguttara-Nikaya/Anguttara6/09-navakanipata/006-khemavaggo-e.html.